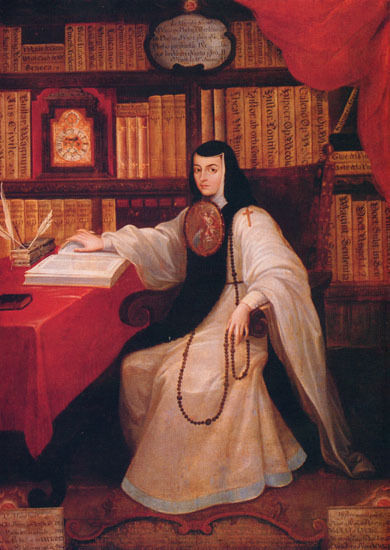 Amy Fuller looks at the life of the Mexican nun Sor Juana Inés de la Cruz and asks why we feel the need to kill our heroines rather than celebrate their achievements. Sor Juana Inés de la Cruz was a 17th-century poet, playwright and nun. In her native Mexico today she is celebrated as an icon: her old convent is now a university bearing her name; she is the subject of a movie and many plays and novels, and she even features on the 200 peso banknote. Yet, despite her fame, her story has been distorted and the more that is written about her, the further we get from the true historical figure. The misrepresentation of Sor Juana's life began in the 1930s but gained traction thanks largely to Octavio Paz’s 1982 biography and the 1990 movie, I the Worst of All. Her privileged life and the support of the Church and court have been ignored. Instead, the popular narrative tells us that Sor Juana was persecuted by the Inquisition for stirring up controversy. As a result, she is now known as a subversive upstart who was silenced and forced to give up her career and possessions, and her tragic death from the plague is framed as a martyr’s atonement to make up for her ‘transgressions’. Though she is relatively unknown in the UK, a production of The Heresy of Love, which is based on Sor Juana’s life, has been thrilling crowds at London’s Globe since the end of July. This critically acclaimed play by Helen Edmundson was written in 2012 and builds upon the existing mythology, ramping it up even further. Within this new version of events, Sor Juana’s beauty and sexuality become central to her persecution: she is torn down by bitchy female rivals as well as male authority figures. Her punishment too goes to new levels as she mortifies her own flesh, even cutting her face, and the books in her library are publicly burned by order of the Inquisition. 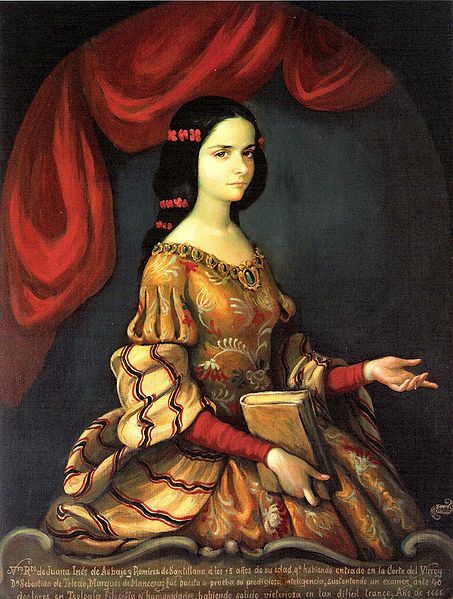 Portrait of Sor Juana at 15, when she first entered the viceregal court. 17th century, artist unknown. Juana de Asbaje y Ramírez de Santillana was born in on November 12th, 1651, and died on April 17th, 1695. She was known as a beautiful, precocious child prodigy who, at the age of 15, became a lady-in-waiting at the viceregal court where she entertained nobles with her poetry and works of theatre. At the age of 17, 40 members of the University of Mexico questioned her on topics such as mathematics, philosophy, literature and history, and were astounded by her genius. Juana had no desire to marry, wishing instead to continue her studies; the only logical path for her therefore was to become a nun. She lived very comfortably. Her ‘cell’ was an apartment maintained by servants and slaves and she had a huge personal library containing various scientific, mathematical and musical instruments, works of art and some 4,000 books. Here, Sor Juana produced works of poetry, drama and prose, which were published extensively. In 1694 she retired from her glittering literary career, sold her library and donated the proceeds to the poor. The following year, she died after contracting the plague while aiding the sick. Sor Juana’s decision to give up her worldly possessions and dedicate herself to works of charity sealed her saintly reputation. In actuality, though, this turning point in her life – presented by so many as a persecution – was integral to the image that Sor Juana herself wished to portray. Within her own lifetime, two out of three volumes of her ‘Complete Works’ were published, and she even edited some of the later editions. The final instalment was published five years after her death and, like the other volumes, was reprinted several times. Each volume appears to present a carefully constructed image of Sor Juana, tracing her career – from court favourite, to nun, to saintly exemplar – with her works reflecting this progression. Within the posthumous volume we find her first biography, which was based largely on her own words. This version of her life draws upon the well-established narrative of the saint who, having gained fame and fortune, decides to give it all up for a life devoted to Christ. Her Profession of the Faith, which has been used as evidence of her ‘persecution’, was actually rather tame in comparison with those of other nuns, and was key in demonstrating her pious transformation and presenting herself as worthy of sainthood. As such, it would seem that her image was fairly contrived. However, the fascinating thing is that, to a certain extent, it seems to have been created by Sor Juana herself. Sor Juana’s agency in deciding how her work and own image were presented should not be underestimated. Few writers in the early modern period – men or women – had this privilege, and many did not live to see their writings in print. The fact that she influenced the creation of her posthumous biography demonstrates that, far from being broken down and put in her place, Sor Juana continued to shape her own image from beyond the grave. Yet despite this, people (including scholars) have preferred to regurgitate the same old clichéd narrative of female victimhood about someone who was actually incredibly successful. Portrait of Sor Juana by Miguel Cabrera (1695-1768), c.1750. So, why have these myths been created? It is difficult to say. 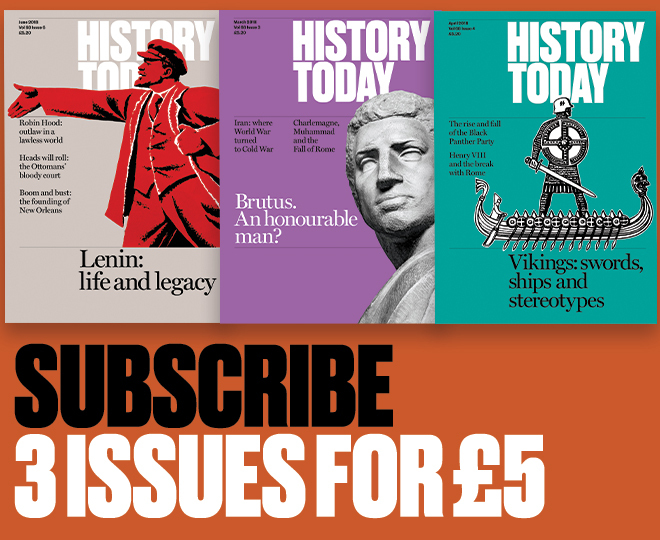 Perhaps the fact that women are still struggling against sexism today makes it hard to believe that powerful female figures could have flourished in the past. 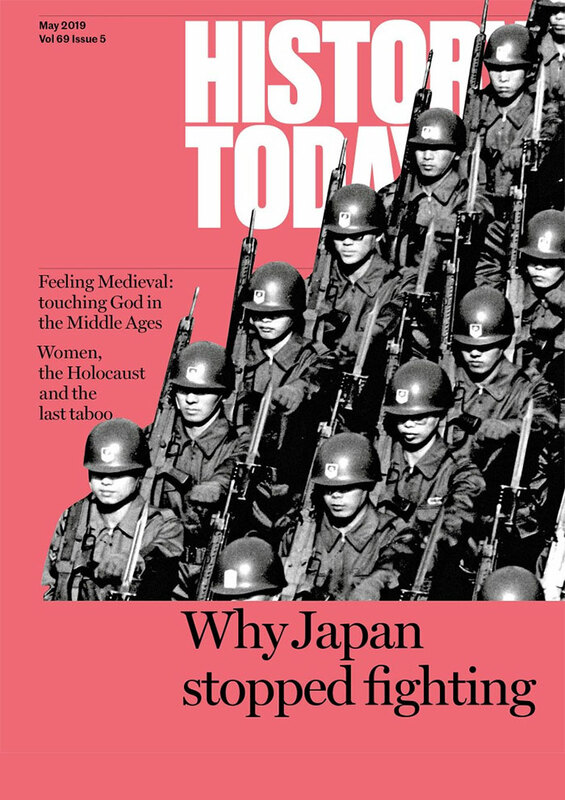 Maybe the history and conventions of the day have simply been misunderstood. It seems that we must believe that a woman suffered in order for her to be awarded iconic status. But this means we are killing heroines rather than celebrating their achievements. Why is the only acceptable strong female character one who has been recast as a victim? In Sor Juana’s case, the truth could be political. Key to her downfall, according to the legend, was the supposed fact that she was a Mexican rebelling against the ruling Spanish authorities. The creation of Sor Juana’s ‘persecution’ coincided with a rise in anti-clericalism and the reclaiming of Mexico’s history after the Revolution. This predominately focused on presenting a Mexico that rallied against outside influence in order to free itself from the colonial power of Spain and the invading force of the US. In order to fit this narrative, Sor Juana’s works were presented as rebellious and anti-Spanish. But, in reality, each of her volumes was praised by the Inquisition and prefaced with dedicatory letters and poetry from Spanish nobility and clergy celebrating her as an icon of the Spanish Empire. In return, she commended the crown for having saved the indigenous Mexicans from the ignorance of paganism. This cooperation between Sor Juana and the Spanish crown and the Church does not fit the acceptable image of a Mexican heroine. It is much more appropriate to have her rebel against her ‘oppressors’ and suffer for having done so. Indeed, in a plotline that is continued in The Heresy of Love, Sor Juana is presented as finding favour and safety only temporarily with the Viceroyals. Once their tenure is complete and they return to Spain, she is thrown to the wolves. As such, her narrative becomes a metaphor for Mexico itself: tyrannised by Spain and then left to rot. Far from being silenced within her lifetime, this actually began in the 20th century and continues today. Her own image, largely self-made, was deemed unacceptable for a modern day Mexican national treasure and decimated. As a result she has become a victim after all.